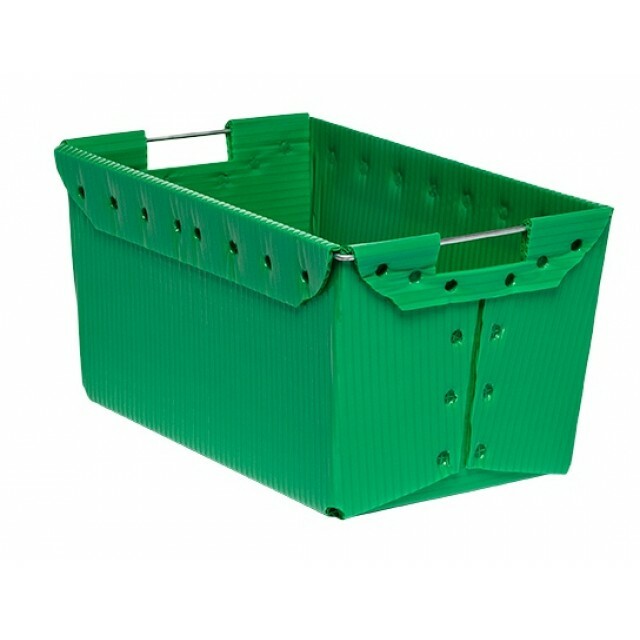 Corrugated handheld plastic totes are lightweight, easy to transport, fully recyclable, and are a perfect match for small, delicate items such as agricultural produce. Plastic bins are widely relied on as an efficient and economic item transport solution in a large selection of industries. Applicable in areas such as material handling, item distribution, product protection, and manufacturing industries. Also available in a variety of colors, as well as perforated or non-perforated styles.